*Seam is coming apart inside bibshorts. 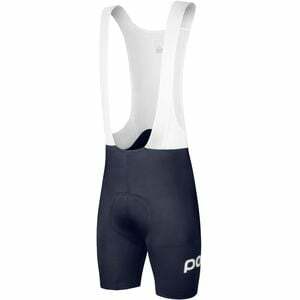 When youâ€™re pedaling towards the finish line an actual race, the speed benefits of the POC Contour Aerofoil Menâ€™s Bib Short become impossible to ignore. The Contour Aerofoil is pretty similar to the standard Contour, but the fitâ€™s just a little more aero (read: painted on) and thereâ€™s subtle texture on the thighs and lower back thatâ€™s engineered to improve airflow and reduce friction, just like the dimples on a golf ball. The wide, flat leg bands also keep the Aerofoil glued seamlessly to your thighs without air-catching gaps or folds like youâ€™ll get with traditional bibs. The sausage-casing fit of the Aerofoil provides compressive support to keep your muscles fresh and firing on long and fast rides, but those benefits pale compared to the support and cushioning provided by the Contour chamois. Itâ€™s comfy, sure, but POC also incorporates silicone-based VPDS inserts that encourage a more aggressive riding position in addition to smoothing out bumps and vibrations.